In a new study published in Applied and Environmental Microbiology, scientists from the University of Adelaide have said the risk of salmonella does not increase in free range farms when the weather gets hot. As such, even though there are more cases of salmonella in humans reported in summertime, it seems the reason is not that the sun spoils freshly-laid eggs. Indeed, researchers conclusively found that the egg production process itself was not to blame for the trend. 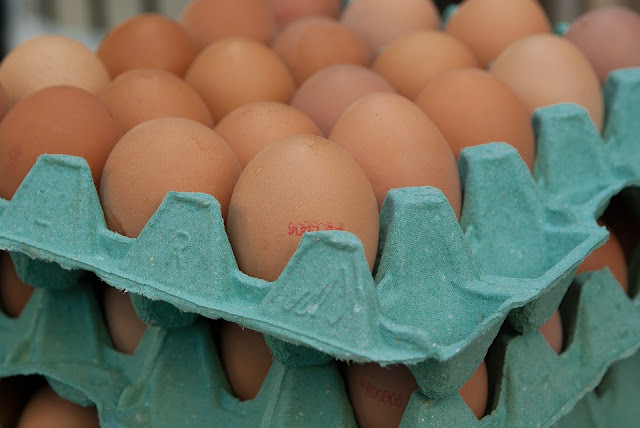 Rather, according to Science Daily, the problem seems to lie in the handling of eggs in other stages of the supply chain – such as in domestic or commercial kitchens. The news is good for the hens of free range farms, which now have every reason to continue laying eggs in less controlled conditions than those of their battery-farmed counterparts. Associate Professor Kapil Chousalkar, who worked on the study, claimed: "The previous literature suggests that the hot weather could potentially stress birds and induce bacterial shedding. Our hypothesis was that the birds, which are raised in free range production systems, could be more exposed to weather extremes." So, whilst the prior hypothesis was that more heat on farms means more stress-induced poop on eggs, it now seems that such notions are hokum. The new findings are based on research conducted at four free range egg farms, and will deal a blow to those who advocate battery farming for increasing hygiene standards in this particular way. Indeed, as we know, battery farming is one of the most effective methods of getting salmonella into the food chain through animal farming. "This helps to reinforce a simple health safety message”, said Prof. Chousalkar, “that it's important for people to wash their hands before and after handling eggs, whether at home, in a restaurant, or while working in the supply chain."